Gold Merry Christmas acrylic cupcake toppers. Single pack. Size 8x4cm. Spike 4cm.Ideal for your Christmas cake. Absolutely stunning finish, effect and result placed in your cupcakes. Make your next party or event extra special using not only these cupcake toppers, but also our matching cake toppers to suit many occasions. OR use these sizes for your cakes when you have lots of decorations going on! Just gorgeous! Silver acrylic topper. Single pack. Size 8.5×3.5cm. Spike 4cm. Ideal for your Christmas cake. Absolutely stunning finish, effect and result placed in your cupcakes. Make your next party or event extra special using not only these cupcake toppers, but also our matching cake toppers to suit many occasions. OR use these sizes for your cakes when you have lots of decorations going on! Just gorgeous! Silver mirror. Acrylic Merry Christmas bauble cupcake toppers. 12 pack. Size 3cm. Spike 4cm. Ideal for normal size, patty pan, muffin and mini cupcakes. Why not even on a cake thats got a lot going on?! Gold and silver mirror available. Mini snowflakes and trees also available. Mix and Match! Absolutely stunning finish, effect and result.. placed in your cupcakes. Make your next party or event extra special using not only these cupcake toppers OR use these sizes for your cakes when you have lots of decorations going on! Just gorgeous! Carefully remove the protective coating on the front and back for the perfect finish. We have left the coating on to preserve and prevent scratching in the mirror. Spike of timber toppers need to be covered completely before inserting into any cake or cupcake. Material Acrylic. Handmade in Melbourne. Beautiful mini cupcakes supplied by Cake Creations by Kate. Qty 1 each. Size 12 inch (30cm) disposable bag. Strong, durable, flexible and non slip. 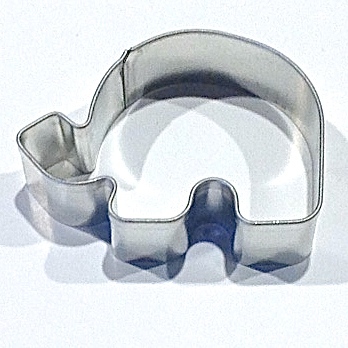 Ideal for piping royal icing on biscuits or butter cream on cupcakes and cakes. Pack of 10. Size 18 inch (45cm) disposable bags. Strong, durable, flexible and non slip. Ideal for piping royal icing on biscuits or butter cream or frosting on cupcakes and cakes. Too good to throw away. Handy tip – wrap your icing in glad wrap and insert into piping bag, keeping it clean and reusable. Gold acrylic cupcake toppers. Single pack. Size 9×3.5cm. Spike 4cm. Absolutely stunning finish, effect and result placed in your cupcakes. Make your next party or event extra special using not only these cupcake toppers, but also our matching cake toppers to suit many occasions. OR use these sizes for your cakes when you have lots of decorations going on! Just gorgeous! Pack of 40. Size 10.5 inch (26.5cm) disposable bags. Ideal for piping royal icing on biscuits or butter cream or frosting on cupcakes and cakes. Can be used with or without tips and couplers. 5mm alphabet and numbers impression sets. Ideal for pressing in initials or names in fondant for wedding, birthday, christening, baby shower or engagement favours. Just makes it extra special for someone. Break each piece off from the other.Slide desired letters into letter strip holder for the perfect placement every time. For best results, trim all plastic bits from the edges so each letter sit snug next to the other. Decorated cookies images supplied by @jenellescustomcakes located in Leopold Geelong Vic. Gold acrylic cupcake toppers. 6 pack. Size 9×3.5cm. Spike 4cm. Absolutely stunning finish, effect and result placed in your cupcakes. Make your next party or event extra special using not only these cupcake toppers, but also our matching cake toppers to suit many occasions. OR use these sizes for your cakes when you have lots of decorations going on! Just gorgeous! Gold Merry Christmas acrylic cupcake toppers. 6 pack. Size 8x4cm. Spike 4cm. Absolutely stunning finish, effect and result placed in your cupcakes. Make your next party or event extra special using not only these cupcake toppers, but also our matching cake toppers to suit many occasions. OR use these sizes for your cakes when you have lots of decorations going on! Just gorgeous!